Campaign to raise awareness of food safety (the theme of this year’s World Health Day) and encourage practices that promote food safety. For regulatory reasons, please ensure that you do not include the names of any prescription-only products in your ads. Please include @adhealthmag and @wellmark_health in your tweets. The best entries from this brief will be featured on the Advertising Health website and the Wellmark blog. 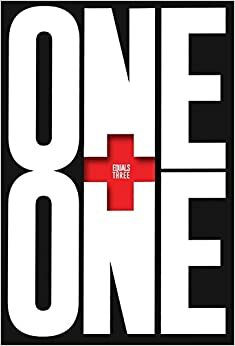 The overall winner will also receive a copy of Dave Trott’s new book ‘One Plus One Equals Three: A Masterclass in Creative Thinking’. Unsafe food is a huge global problem, estimated to be responsible for the deaths of about 2 million people per year. Food containing harmful bacteria, viruses, parasites or chemical substances is responsible for more than 200 diseases, which range from diarrhoea right through to long-term diseases such as cancers. Because of the increasingly globalised nature of food trade, contamination in one place may affect the health of people living on the other side of the planet. This means that everyone along the production chain, from producer to consumer, must observe safe food-handling practices. It is important for consumers to know about common food hazards and how to handle food safely, using the information provided in food labelling. Accordingly, the message of this year’s World Health Day is to be informed to ensure that the food on your plate is safe to eat. Dhélet Y&R, Argentina, raise awareness of the impact of fireworks on dogs.